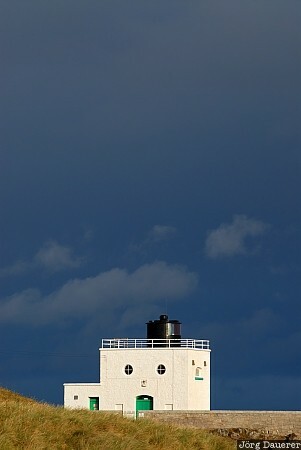 Lighthouse at the North Sea coast in front of dark clouds illuminated by soft morning light near Bamburgh, Northumberland, United Kingdom. This photo was taken in the morning of a rainy day in September of 2007. This photo was taken with a digital camera.